Marketing is essential in an industry as competitive as insurance. Your product has undeniable value. The key to success isn’t in convincing your clients they need insurance, but in connecting with them and establishing a relationship that will inspire shoppers to choose your services over those of the competitor. With mass text messaging, you can reach potential customers on their smartphones. Where email and phone calls now fall short, text messaging reigns. Reach mobile shoppers in an intuitive and highly effective way with the right mass text messaging strategy for your insurance products. SMS marketing is one of the newest inventions for promotions of a business, but it is one that is providing to be one of the best, with success rates almost at 100%. No matter the city or state that you reside in, or the type of insurance coverage that you offer to consumers, adding SMS marketing to your plan could do wonders for your company. SMS marketing works by sending text messages to an interested individuals cellular phone. Only those who are truly interested in what you have to offer will receive these messages, as you should only send them to those who have opted in or said they wanted to receive the messages from you. This may seem like a hassle, but it certainly benefit you as you are not wasting time corresponding with people who are never going to act upon the offer that you are providing to them. It is easy to gain a large list of SMS marketing subscribers. Most companies offer a cannot refuse offer to get subscribers. This could be a discount, a freebie or something else, so long as it is something that will cause customers to react. Around 85% of the population in the US carries a mobile device with them every single day. This allows your messages to reach them in real time so they can immediately take advantage of the offer that you are sending to them. It is further estimated that around 97% of all text message marketing emails are read and 25% responded to! These numbers are far greater than with other marketing opportunities. You will find that SMS marketing benefits your insurance agency in a number of ways. 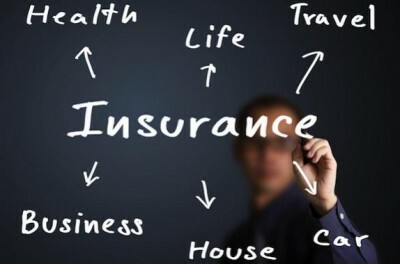 It is certainly beneficial when you want to add more customers to the list, but it can also be used as an effective form of communication between those who are already utilizing your insurance coverage. Take a look at a few of the possibilities of SMS marketing for your insurance agency. There are certainly many other ways in which SMS marketing can work for your business, these just give the general idea. SMS marketing can certainly benefit your insurance agency in a number of ways. It is effective, easy and beneficial, so do not miss out on the opportunity that awaits you. Sign up for mobile marketing services today.